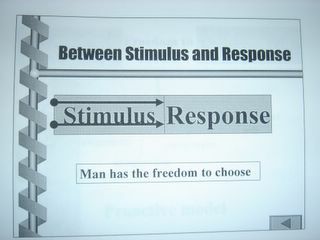 In my last post I tried to present a problem as an example of showing different ways of responses to a stimulant, and have shown that between stimulus and response there is a free zone to make a unique choice that belonged only to me with no other influence from others. If the only vision we have of ourselves comes from the current social mirror or paradigm and from the opinions, perceptions of others, then the vision is disjointed and out of proportion. 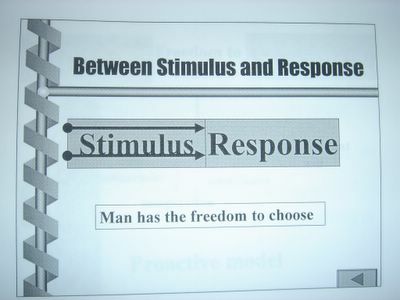 All the above maps are based on the stimulus-response principles (I mentioned in the last post), in other words; the way I respond when I am stimulated by a particular problem or a certain situation is predetermined by the way I was conditioned. But how accurately and functionally does this mirror describe the territory; me!!! As human beings, we are responsible for our lives. We can subordinate feelings to values. We have the initiative and the responsibility to make things happen. But how can we become proactive? First we have to reprogram ourselves and remember that it is not what happens to us that hurt us; in fact our most difficult experiences become the crucibles that forge our character and develop the internal powers. It is the way we let the situation act on us instead of us acting to make the best of that situation. Then let’s take the initiative, and to do that we have to recognize our responsibility to make things happen, and start being the solution to the problem instead of being a part of that problem, and in this case the maturity level of the individual has to be taken into account. We can’t expect high creative cooperation from those who are deep into emotional dependence. The more emotionally dependant we are the longer it takes us to take the initiative. We have to watch our own language; our language comes from the basic paradigm of determinism. And the whole spirit of it is the transfer of responsibility. A reactive language becomes a self fulfilling prophecy. People become reinforced in the paradigm that they are determined, and they produce evidence to support the belief. They feel increasingly victimized and out of control, not in charge of their life or their destiny. They blame outside forces, other people, circumstances, even the weather for their own situation. “there is nothing I can do about this“, “that’s just the way I am“, “he makes me so mad“, and “I don’t know how to do this” etc. “Let’s look at our alternatives“, “I can chose a different approach“, “I control my own feelings“, “I can create an effective presentation“,” I will try my best to find out how to do this“, and “I chose not to participate” etc. Expand our circle of influence: we have to also be cautious not to let the circle of our concern; things like family, children, spouse, work, or other stimulants such as weaknesses of other people, the problems in the environment, and circumstances over which we have no control overlap our circle of influence. We have to believe that by choosing the positive response to the circumstance we affect the outcome of our circumstance. Proactive people focus their effort in the circle of influence. They work on things they can do something about. The nature of their energy is positive, enlarging and magnifying, causing their circle of influence to increase. The proactive approach is to change from inside out, to be different, and by being different, to affect positive change in what’s out there: “I can be more resourceful“, “I can be more creative“, and “I can be more cooperative“. If I want to improve my situation I can work on the one thing I have control; myself. I can stop trying to shape up everybody else and work on my own weaknesses. The proactive behavior is governed by principles. Living in harmony with them brings positive consequences. 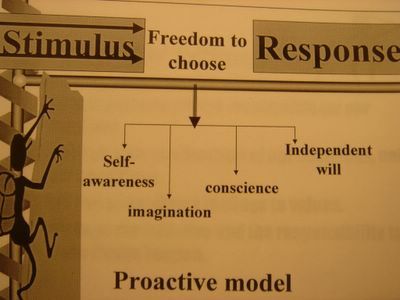 They give themselves the freedom to choose the response in any situation, but in doing so; they choose the attendant consequence and try to make the best of the situation. And their approach to a mistake is to acknowledge it instantly, correct and learn from it. This literary turns a failure into success. set a goal and work to achieve it. These bloggers stimulated me. Then what should be my response? Shall I react hostilely and go on their blogs and cuss them just the same? Or shall my reaction be to dedicate a post for cursing them? What should be my response? 1- I don’t know these people and they don’t know me, yet they did not hesitate to judge my personality through their narrow lens and their own paradigm. 2- Everyone has the freedom to write whatever they want on their own blogs so long that it does not violate the freedom of others. Now, when these elements are clearly set before my eyes, I chose my response to be Proactive and not Reactive. I chose to ignore them and not pay them any attention because if I did, then they would get what they wanted in the first place. Then why am I posting about it now? 1- I care about the others, the bloggers who got aggravated and participated in commenting on those blogs. The educated ones with high manners who were trying hard in their dispute to put some sense into those senseless heads. 2- To send a message to those bloggers that there is etiquette in dealing with any subject in public and in case you don’t know about that, please check this link and learn some manners. 3- The most important reason: To use this incident as an example in my attempt to define the first habit of highly effective people; Be Proactive. By doing all that I have chosen not to be reactive but be proactive. To use a live example (and the timing was pure accident), I have created a tool for a noble goal of what seemed to be a distressing episode. Proactivity is a natural trait in human beings, reactivity on the other hand is a product of conditioning. We have grown to see ourselves in the eyes of others, if they approve of our physical appearance or actions then that make us feel good. If they don’t then we are miserable. But judging ourselves in the eyes of others is like seeing our reflection in a river, the picture is highly distorted. And to be able to see ourselves clearly, we need to have our own mirrors; we need to be our own judges away from system conditioning. “Remember that you are very special. When we are young we are totally dependant on our parents; physically, mentally and emotionally. It’s always “you” I depend on. As we grow older we tend to develop our own personalities, we start being financially independent, and eventually, mentally and emotionally if we are seeking total independence. So that it’s only “me” I can depend on. But not all individuals have reached total independence, most of us, although financially independent, we still need to depend on others mentally or emotionally, other’s opinions always affect our actions to a certain level depending on our paradigms. We keep saying “he made me do it, it’s all his fault” instead of saying “I totally take the responsibility of my action”. Just listen to a newly separated couple, each party blames the other for the failure of their marriage while in reality each of them has contributed to some degree to its failure. Both are mature and financially independent, but emotionally they are not. Total independence is good, and is essential in building a strong character and a good manager, but it does not create leaders. You have to be a leader to be able to better manage your life. We live in a society that involves others, we have to interact, communicate, associate and relate. We have to be interdependent. Sara is a very hard working laboratory expert, she is very knowledgeable at what she is doing, and her superiors would always go back to her for a sound advice, and will always depend on her to accomplish serious tasks especially in emergency cases when the time frame is limited. But when her boss was transferred, the higher management chose someone with much less qualifications in her department to replace him. That sounds unfair doesn’t it? Sara was a very quit person, never had to ask anyone for a helping hand or interrelated with her colleagues in any type of team work. She knew it all and knew that by letting others in her projects would only prolong the duration and she did not need that, she needed to make the deadlines. So it was always easier for her to get the job done by herself. Her colleagues thought of her as a nerd and although respected her, they never had the chance to get close to her. If you were one of the board members would you choose Sara to head that department?.. No, because Sara is just perfect where she is right now. 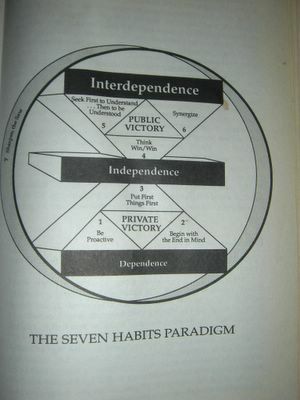 For the 7habits to be effective the author is shifting our paradigms from dependence to independence with the three first habits that he introduced (H1, H2, and H3), these are based on the character ethic management that we have learned in the previous post. This shift is based on the basic traits of human beings, and we can think of it as the base structure of a building, it has to be strong to be able to withstand the weight of the building, and the author labeled this shift as private victory since the shift is done between you and yourself. 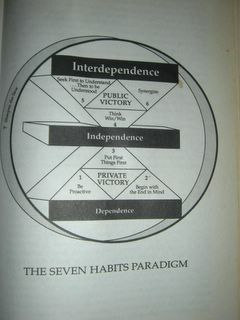 By producing three more habits the author would shift us again, this time to total interdependent, (H4, H5 and H6) are based on personality ethic management or what we call modern management which provides us the tools needed for managing our lives in a social environment, and the author labeled them as Public Victory since it involves others. The seventh habit (H7) is introduced to contain all the other six habits in an upward spiral motion to guarantee their effectiveness and stability; and to give a balanced renewal of the four basic dimensions of life (physical, spiritual, mental, emotional). Having said all the above; now we are ready to begin, expecting the seven habits to provide us an incremental, sequential, highly integrated approach to the development of personal and interpersonal effectiveness with compliance to the laws of nature, just like the laws of harvest; Saw, wait for the crop and then reap. What I did was one form of what we call the modern school of management and the author termed as Personality Ethic management (personality growth, communication skill training, and the education in the field of influence thinking). They are good tools and sometimes essential for success. And surly effective for a while, but they remain to be band-aids, or quick-fixes. But they are nothing but TOOLS, and the author described them as Secondary Greatness.But since you knew from experience that my intention is genuine and that we have built a bridge of trust between us that took some time to be built, you anticipated some results for the test and you are sure that I will do something worthwhile to keep the connection. Trust is one element of what the author termed as Character Ethic Management that is fundamental in success, other elements like integrity, humanity, fidelity, temperance, courage, justice, patience, industry, simplicity and modesty are the basic traits of human beings that can be accomplished in relationships only with time. This type of management is genuine, more effective and basic. And the author described them as Primary Greatness. 1- Some readers only saw one picture no matter how much they focused. 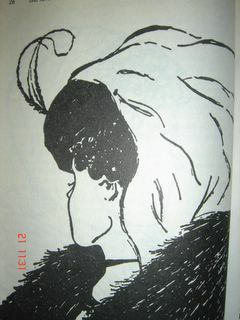 2- Some readers had to focus hard to see two images. 3- The first image that each percieved varied from one individule to another. 3- Some readers gave descriptions that portrayed their specific image and sometimes it was associated with feelings. The first image you saw is your Paradigm, and the second image after exerting some effort is your Paradigm shift. The conclusion here is that every one of us has his own paradigm or paradigms of just about every thing in life. And there are feelings associated with these paradigms. It was essential for us to clearly understand paradigm and paradigm shift before introducing habits. Paradigms are powerful because they create the lens through which we see the world. What we see is highly interrelated to what we are, we can’t go very far to change our being, and vice versa. Creating a habit requires work in all three dimensions, which can break through to new levels of personal and interpersonal effectiveness as we break with old paradigms that may have been a source of pseudo-security for years. In other words if we want to better ourselves, our situations we have to acquire new habits and change our old perceptions. We have to go through paradigm shift because most of the time the way we look at the problem, is the problem. 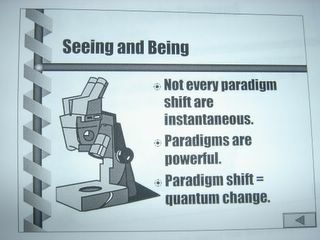 But as we saw in the previous post that shifting paradigms is not always spontaneous, most deliberate ones need effort and hard work, it is not easy to change the way we are conditioned since the day we were born, yet we have to grow and we have to change to be able to perceive matters more clearly and therefore make better judgments. The very principle of growth and change is to accept the fact of the process, like the law of harvest; you have to sow, then wait for the harvest and then reap. Human behavior and human relationships should take their natural time to flourish; change has to take its considerable time to happen. We can’t change people or circumstances, but we can change ourselves to be able to better deal with our environment.Another principle of growth is to admit our mistakes and ignorance and in the process learn. If we analyze a situation that went terribly wrong, instead of crossing our hands and feeling sorry for ourselves, let’s thing what did we do to unintentionally contribute to its failure. And in the process look at the problem from a different angle. As for an example let’s think of the way we deal with our children’s schooling, we push them too hard to get excellent reports, we may use the modern schools of Personality Ethic; sometimes deceiving and conning to get what we want without any consideration to their natural abilities or the fact that these kids are learning more hazardous traits along the way, and when the end result is satisfactory, we get an extra mileage for being the perfect parent in the eyes of other adults concerned. But when they fail we consider it our failure. But if we step aside and think of the matter as a natural process and give our children their right time to develop with our sincere guidance and nourishments without the stress of the outside influence, we begin to shift our paradigms and are able to deal with the situation more maturely. If we want to change a situation we first have to change ourselves. 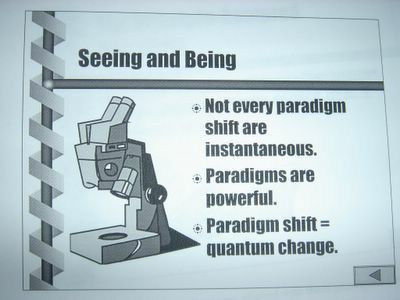 And to change ourselves we have to first change our perceptions; we have to go through a paradigm shift. Some years back, when I was directing the Computer Information Department (CID) in the Ministry where I worked, I was facing a lot of problems with my employees who added up to sixty at the time. The problems were mostly associated with jealousy between the employees dealing with the unjust rewarding and punishment system, and my own handicap for trying to get the most in a very primitive atmosphere with lots of obligation and very little authority. Teamwork was the backbone of our production, but unfortunately, we were all lost in the trivial of everyday routine. That was when I decided to build the individual (including myself) for the benefit of the whole. But how could I do that? With local market seminars and courses being highly commercialized with no real substance. Other international worthwhile courses cost a bundle that only a few elite could attend. I needed more. I needed something for the lowest rank/education as well as for the highest. So I remembered how this book “The 7 Habits of Highly Effective People” boosted my morals and got me back on track every time I faced a problem making a decision in my life. That was when I decided to act on my own. I organized two classes for my employees, divided them in two patches according to the level of their education and started lecturing the habits presenting the author’s principles through my own perception and applicable to our work environment. Two weeks for each course duration, two hours in the morning when the work load was relatively low, of which one hour was spent in presentation and another hour in exercises and discussions. The results were amazing and the employees got to sympathize more with each other, my relationship and insight strengthened with my employees and this manifested itself in a better team work and as a result CID production increased. The reports and the power point representation I have are relatively old and directed to a certain group in the work environment. 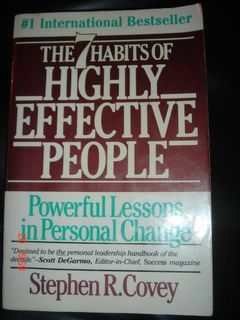 I think this book is a treasure and the work that I have done as well as the lessons I learned through the daily interaction should not go to waste, I need to go back and revise each habit and post it, mostly for me, and in the process more people can benefit. This needs a lot of preparation and hard work, and it will be done in a series of posts. 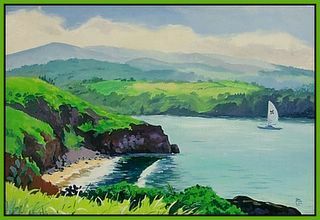 And they might not be presented one after another; I will definitely take a brake to post on other subjects in between. The intention is not to analyze the book as a lecture in a classroom, more like touching base with each habit, defining it and trying to figure out how it can best be utilized and minimizing as much as possible technical terms and terminologies used. For the readers who have not read the book as well as the ones who have done that long back, I advise you to read along if you are interested and hope to see your intellectual responses which can be a benefit to all. To the ones that have no time to read the book, your participation, no matter how small you think it seems, is very important in rising serious issues that many of us might have not thought about. The west has translated our knowledge and applied it as the basis to the technology boom of today, why not use theirs today to better our lives and make it more productive, if not collectively, at least through building “the self”. I’m not implying that by our humble efforts we are reaching the moon, nevertheless each individual can make a difference.